2017 was a big year for Xiaomi as they have regained its top 5 global position. They have been increasing its presence with the opening of more Mi Stores overseas and through strategic partnerships including Lazada. 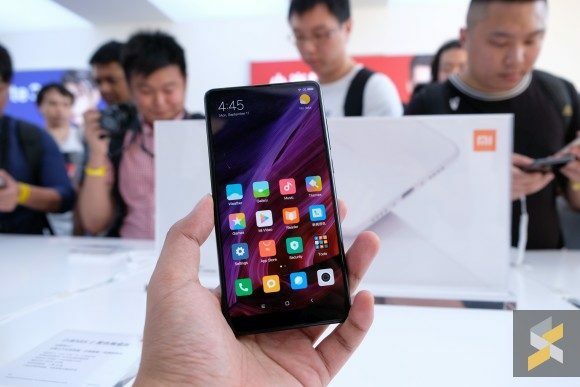 Thanks to a massive year-end sale, Xiaomi had doubled its number of smartphones shipped in Q4 2017 and surprisingly, they managed to overtake OPPO. 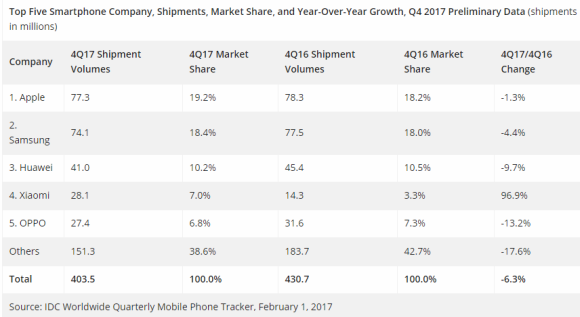 According to IDC’s latest Q4 2017 Smartphone tracker, Xiaomi had shipped a total of 28.1 million smartphones while enjoying a market share of 7.0%. Meanwhile, OPPO had shipped 27.4 million units, which was 13.2% lower than last year’s 31.6 million units in the same quarter. Looking at the top 3, Apple leads again for Q4 2017 with a total of 78.3 million units shipped, while Samsung takes second place with 74.1 million units. 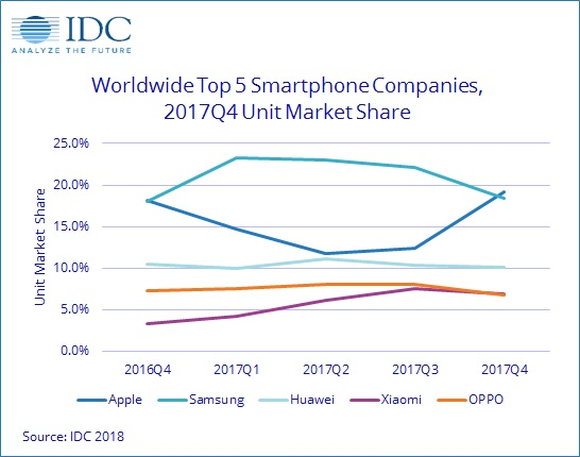 Huawei is still holding on with the #3 spot with 41 million units shipped and they still command a 10.2% market share despite intense competition from its Chinese rivals. However, if you look at 2017 entirely, Samsung is still number one with a total of 317.3 million units shipped and they have increased slightly year on year by 1.9%. This is followed by Apple at second place with 215.8 million units and Huawei at 153.1 million units. OPPO still holding on at fourth place with 111.8 million units, followed by Xiaomi in fifth place with a total of 92.4 million units shipped. 2017 also marks a record year for Xiaomi as they had previously shipped 58 million units in 2016 and 70 million units in 2015. 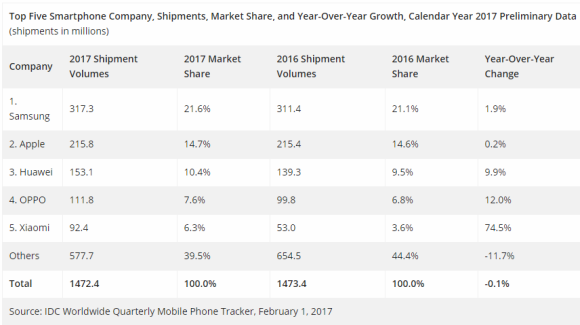 Overall, a total of 1.472 billion smartphones have been shipped throughout 2017 which is a slight drop from 1.473 billion units in 2016. If you look at the table above, the top 5 brands have steadily increased their market share, while the remaining brands have shown a collective 11.7% decline year on year.